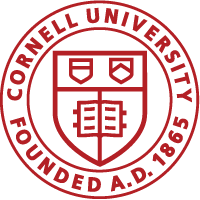 The Cornell Viticulture and Enology Club will host a panel discussion, The Future of the Cayuga Lake Wine Industry in the Pepsi Co Auditorium in Stocking Hall on Wednesday, February 12th from 5:30 to 6:30. We plan to have an open discussion on the many topics concerning Cayuga Lake such as what varietals the industry believes will work best for future plantings, how to differentiate Cayuga Lake wines from other lakes such as Seneca and Keuka, moving the watershed toward more sustainable practices including promotion of viticulture in erosion prone areas, and how Cornell students can forge a closer working relationship with the wineries so near to campus. The panel will be moderated by Dr. Gavin Sacks and include Tom Higgins of Heart & Hands Wine CO., Peter Saltonstall of King Ferry, Cameron Hosmer, Chris Gerling, and Hans-Walter Peterson from Cornell Extension. While there are many topics to cover, our main goal is to create an open dialogue between the industry members, extension staff, and student audience. There will also be a tour of the new Teaching Winery before the event at 5:00. I hope you will join us during this exciting time for both our university and wine growing region.